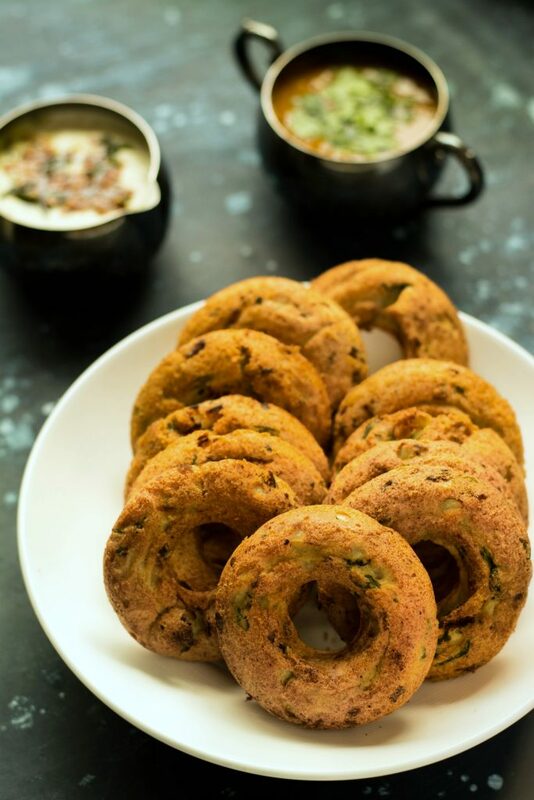 There is no South Indian celebration that doesn’t feature Vada, but now you can enjoy them baked, not fried! 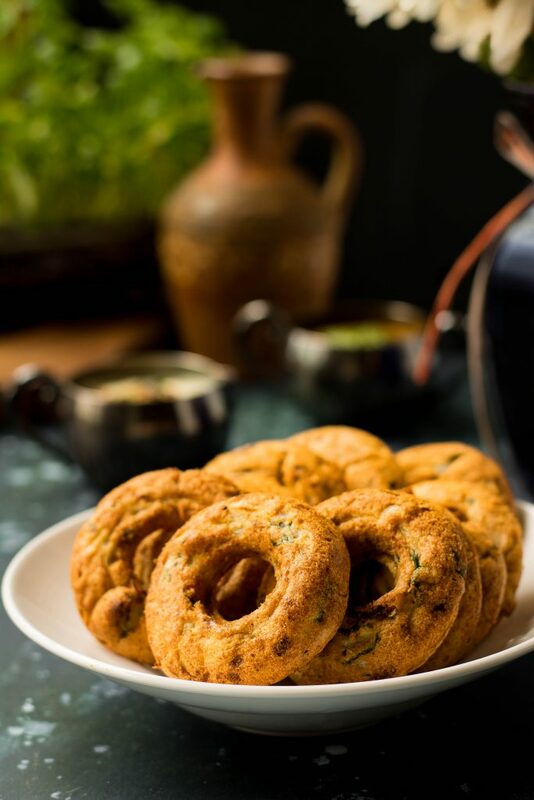 Baked Vada, that’s crispy, crunchy and delicious, not to mention much, much healthier! 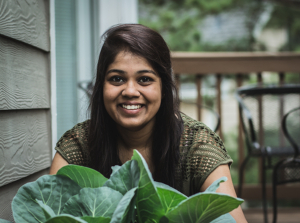 Even though I grew up in a Christian household, my mother made sure we did not miss the fun during Diwali – so much so that on Diwali, we got to wear new clothes, burst crackers and eat a lot of delicious food! 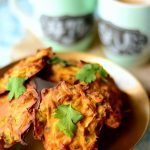 I cannot tell you how much I love Medu Vada (Lentil fritters). 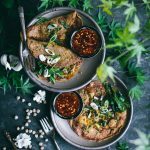 It’s a South Indian breakfast staple, particularly on birthdays, festivals and other special days. My neighbour makes the most incredible Vada and I wait like a dog until she brings them over in a gigantic plate with more sweets and holiday savories. But it’s her Vada that steals the show, piping hot, straight out of the hot oil, crispy and molten-soft on the inside! Ah I can still hear the ‘crunch’ in my mind! 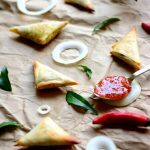 And they are so easy to make, except for the fact that you have to deep-fry them, which isn’t exactly difficult, but if you live in a carpeted, air-conditioned house like I do, they do make the entire house smell ‘oily’ for days! And it’s a very steep price to pay because I have to then light a million scented candles, boil vanilla and cinnamon on the stove for hours and try to exorcise the stickiness in the air. And this is such a silly reason to stay away from my favourite foods, most of which happen to be deep-fried!. So I made sure I found an answer – the Baked Vada. 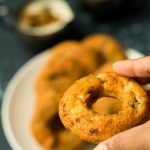 This Diwali, I will make Idly and Vada for breakfast, they’ll be baked, they’ll be delicious and I won’t have to battle the ill-effects of deep-frying! And believe me, with this recipe, you will not miss the deep-frying. These are just as crispy, just as tasty as the traditional ones. Prepare the batter as you would the traditional one, but with two additions. The baking soda + baking powder really help replicate the special crispiness that you get when you deep-fry. So try not to omit these. 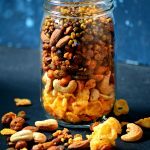 The remaining ingredients are flexible, you can add as much or more as you need. This seems to be a common question on everyone’s mind, so let me put that to the rest. 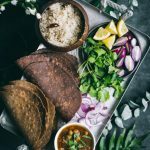 Whenever you are grinding Urad dal, the grinding process may heat up the batter, and the end result will be tough and rubbery. 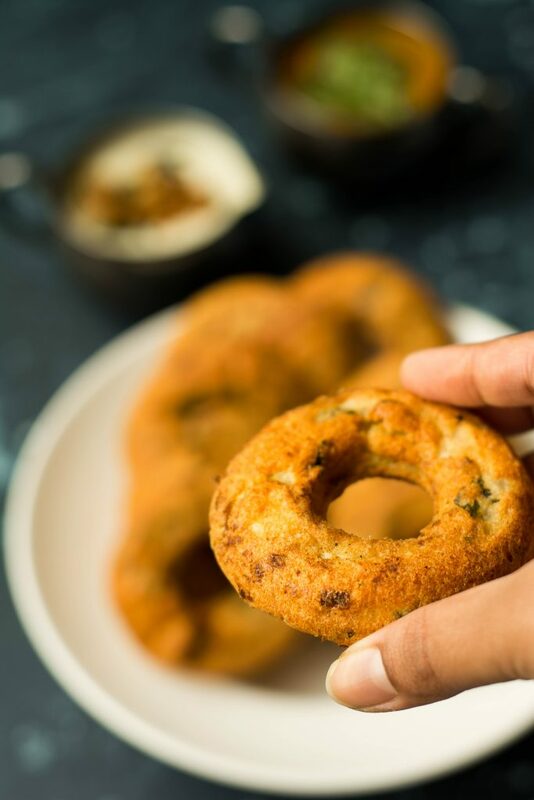 Using ice cubes instead of water while grinding keeps the temperature cool, and the vadas (or dosa) will be crispy and soft without the need to add rice flour to the batter! Finally, you’ll need a Donut pan for this. I bought mine off Amazon. Here’s a link. If you do not have a donut pan, I think if you grind the batter thicker and just shape it in your hands like you do a traditionally fried vada, they should still come out fine. Also, be generous with the oil brushing. It really helps the crispiness. And don’t feel bad about it. It’s still healthier and less messier than deep-frying! Update: I did bake them without a donut pan, on a regular baking tray – the shape did not hold up, but they still taste great and get crisp! Tip: I transferred the batter to a plastic sandwich bag, snipped off one end, and used it to pipe the batter to the donut pan. Faster than using a spoon! Halfway through baking, be sure to flip it over to crisp out both sides. It will feel a little stuck in the pan, but use the back of a spoon to wiggle it out. Don’t these Baked Vada look just like they’re fried? They even feel fried, with the same ‘crunch’ as you bite into it. Another indulgence that needn’t be so guilty anymore! 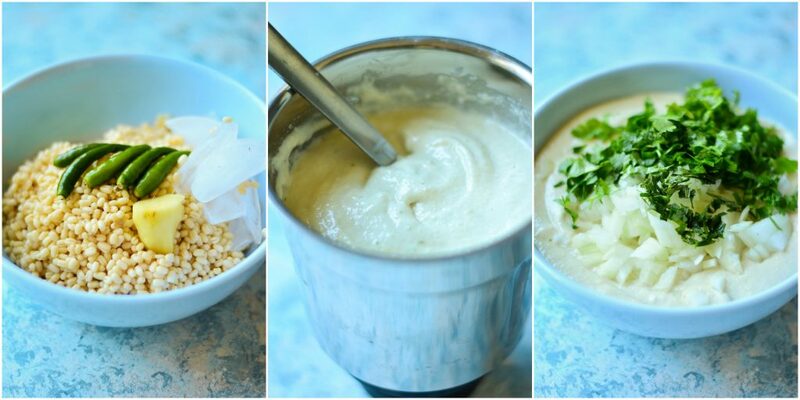 Dunk into coconut chutney and/or sambar and enjoy! Soak the dal in water (completely submerged) for 30 minutes. Drain and rinse the soaked lentil. Add ginger, green chillies and salt. Grind into a smooth paste, adding only a few ice cubes at a time and as little water as possible until you get a thick, smooth batter with no lumps. To the batter add the chopped onion, coriander, baking soda and baking powder. Adjust salt if needed. Preheat oven to 450°F/230°C. Brush oil generously into the donut pan. Spoon/pipe the batter into the donut pan. Dribble more oil on the top and smooth down making sure that the entire top surface is coated in oil. Bake at 450°F/230°C for 12 minutes. Remove from oven, flip the vadas in the pan (it would be slightly stuck to the pan, but use the back of a spoon to wiggle it out without breaking the crust). Continue baking for 10 more minutes. Transfer to a wire rack immediately and let cool slightly before serving with a side of coconut chutney and sambar. The Vadas can be refrigerated for a couple of days. To reheat, bake in a preheated oven at 450°F / 230°C for 5-8 minutes until crispy again. I’m so happy to hear that! I hope you like them! KRISTAN!!! Thank you so very much! I hope I don’t disappoint! Tried this today. Guess I saw it late! They turned just awesome! Though it won’t look much like their fried counterparts, it taste just as good and crispy. Thank you for the wonderful recipe. Keep posting more. Hi Tina, Not sure if my first message came through (didn’t have any email confirming), so trying again. 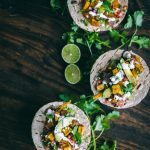 Any direction you can give me on making half this recipe? 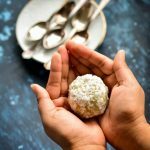 My friend stumbled upon your site and shared it with me because she knows I love vegan friendly recipes that are Indian influenced, use spices, twist on the traditional. I love vadas!!! and like you not very excited about deep-frying in my house. 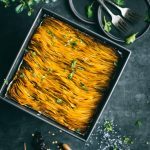 I am going to try the recipe for sure – can I simple halve all the ingredients if i only want to make one pan’s worth recipe? would you suggest any other changes to cooking times, etc ? Tina, great recipe. I ended up doing a full batch after all. they are flatter than the fried ones, but still packed with flavor. I’m so glad you liked it Mavis – yeah they’re flatter, because unlike when you deep-fry, where the oil helps form a more rounded shape, when baked, it tends to be flatter. But I’m happy you still liked the taste! I made them today and they turned out fantastic..
Yaaay! I’m so glad you liked them! Thanks for coming back and letting me know! Can this be made in a microwave too? Hey Richa, excellent thought, although I’ve never tried it. If you do, please let me know!!! I tried this today and it came out awesome. I really didn’t miss the crispness of the original fried Vada at all, which surprised me. I had a question for you though. After I bake one side of the Vada, when I try to flip it, because the Vada is all puffed up, it doesn’t fit back neatly into the donut shape of the baking tray, esp the hole in the center. Any solutions for this? 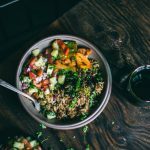 Thanks for posting such a delicious recipe. This one is a keeper for me. Hey Arati! I’m so glad you liked it – as for the flipping part, I don’t try to stuff it back into the hole – rather flip and just place it on top. It’s just to crisp up the bottom more. Hope it helps! And thanks for coming back and telling me you loved it! Wow…u have open a window of taste for me. I have a high cholesterol so I’ll definitely gonna try this. Thanks Tarun! It’s reaally good, try it! Thank! I would love these! Definitely gonna try this recipe out. 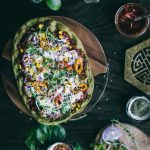 Awesome recipe ….will definitely try it ? Thanks a lot Akshaya! Let me know how you liked it! Wow….nice to know this idea to enjoy vada but need not deep fry…..! Thanks for sharing! Where can we get these trays ? Please check http://rarelicious.wordpress.com for mores South Indian, millets and kids friendly recipes! I’m glad you like these Abirami! I bought the donut trays off Amazon. The link is in the post (right above the pictures with the pan). Good luck! 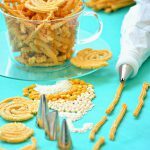 Another recipe that I have never tried. Looks interesting and healthy. We’ll have to try it. Thanks. 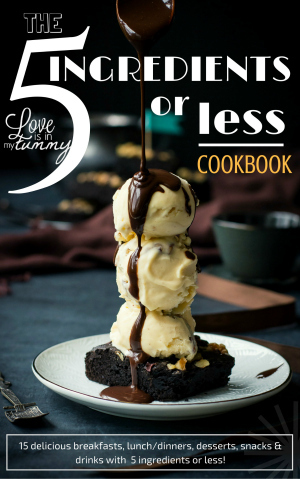 Your recipe looks amazingly good, the photos are spectacular; makes me want to dive right into this wonderful recipe. So glad I came across your lovely blog. 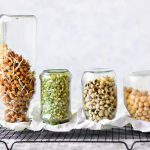 Have a great day and I am looking forward to trying this recipe! 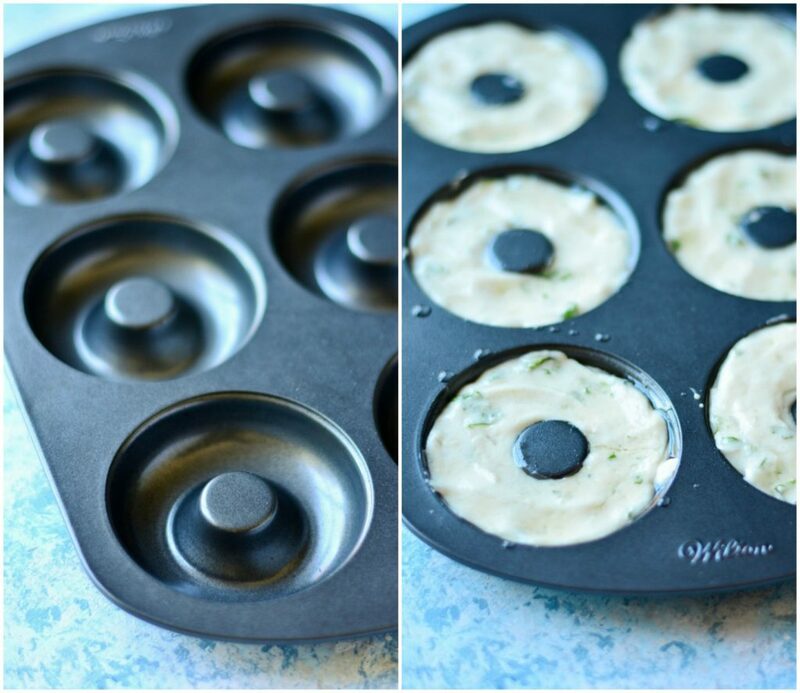 I’ve never had these, but I do have a doughnut pan, so I can’t wait to give them a try! Thanks Sue, they are incredibly delicious and so easy to make too! I’ve never heard of vada!! They look delicious though.. I wish your neighbor would just bring some to me too haha. And yes- I don’t fry (because I burn myself, not because of carpet..) so this would be a better option. Yaay! Thanks Sarah! Yea, I still miss my neighbour’s Vada, but this is pretty awesome too!